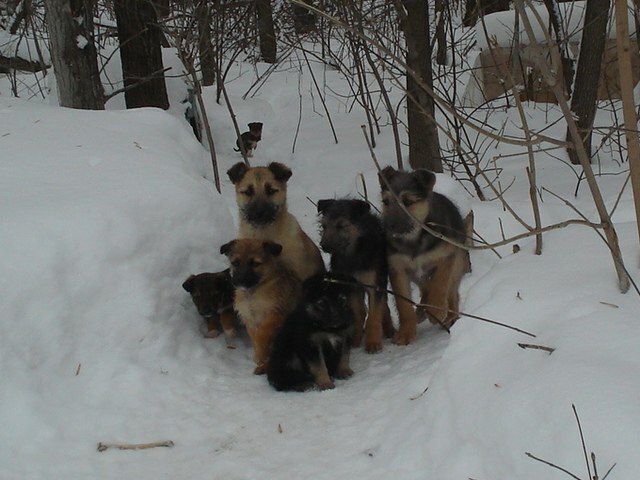 SV group received a call from their vet who informed them about puppies living next to a river trash pile. The river there is deep and moves fast. The puppies were crying and hiding in nettle bushes. The river bank where puppies were hiding is too steep and slippery, and thick nettle bushes made it hard to see the puppies. 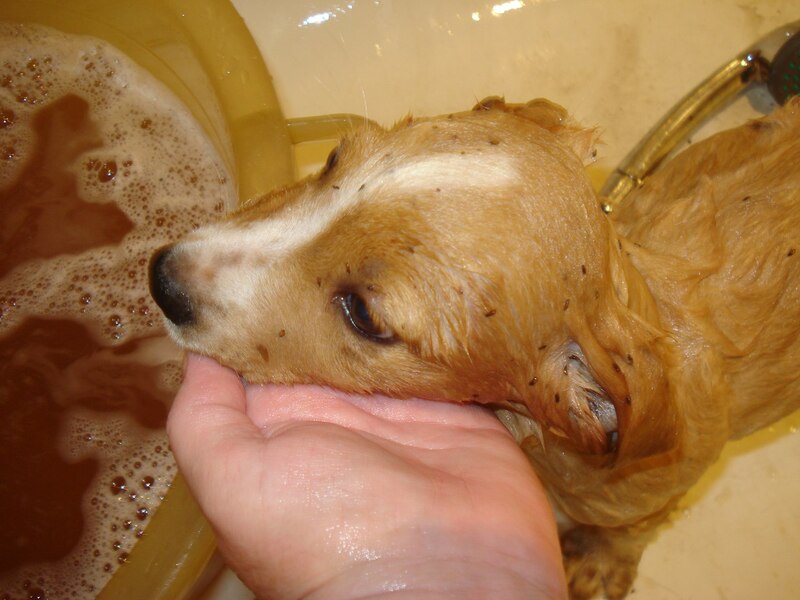 The water turned red when bathing the puppies. The tan puppy was adopted a few days after the rescue thanks to the social media post! 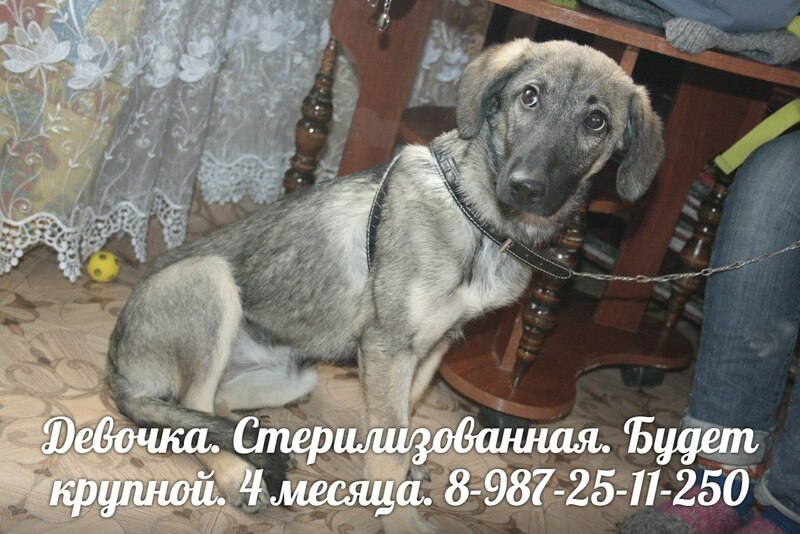 Thanks to rescue efforts and love for animals by Sterlitamak Volunteers 3 more lives were saved! 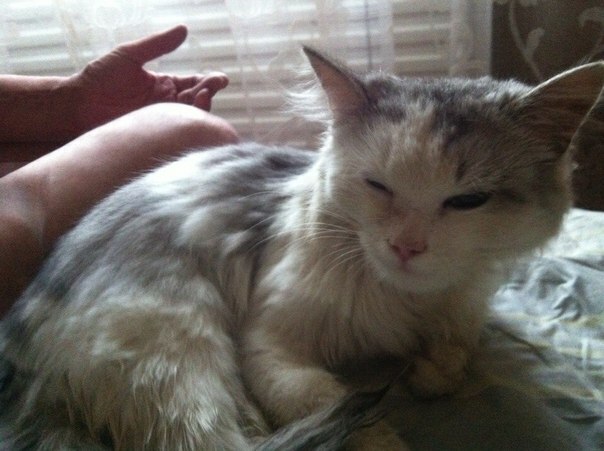 SV group received a call at 8am about a cat recently found by the Volunteers. 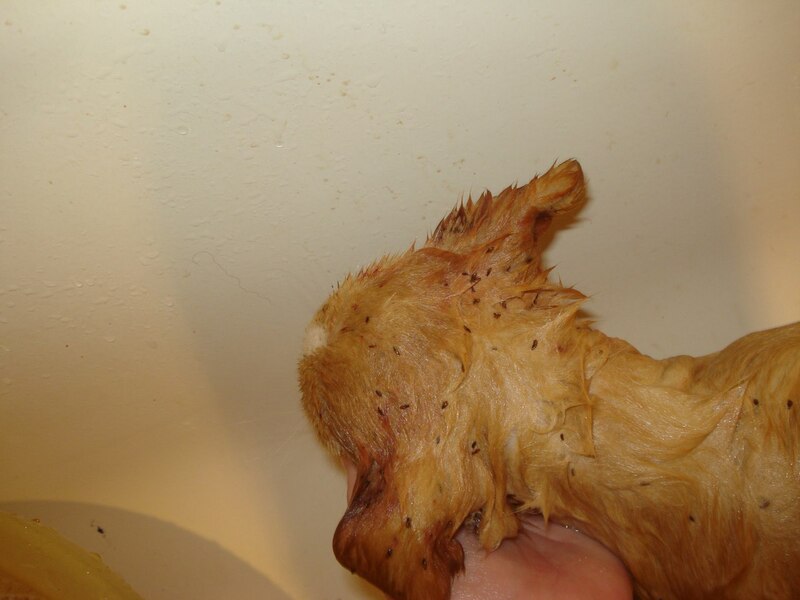 The young male cat was found a few months ago in terrible condition – emaciated with matted dirty coat, infested with fleas. 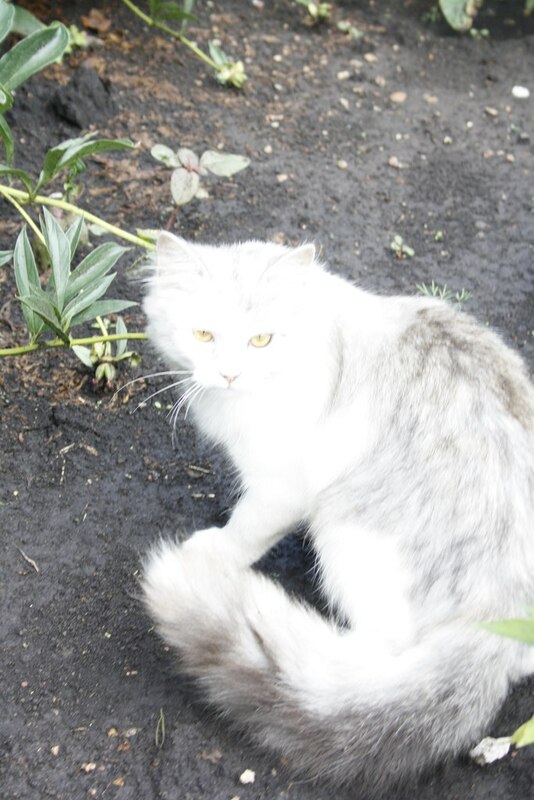 The cat stayed at the foster home where he was treated for fleas, gained weight and became a gorgeous cat with white and grey long hair coat. He was named Kesha by his foster parents and he knew his name. As all foster animals, Kesha received a lot of love and support by the SV group and the foster. The Volunteers made a post on social media website about him and …it worked! The person calling about Kesha turned out to be his owner. He said that Kesha (Gosha as they named him) was lost exactly around the area where he was found but 2 years ago! When fosters met with the potential owners they were questioned about the age of the cat because he seemed too young to be lost 2 years ago. The owner said that when Gosha was very little one of his claws on the hind leg had to be removed because it got infected. The foster parents were surprised to find out that Kesha (Gosha) did not have the claw! 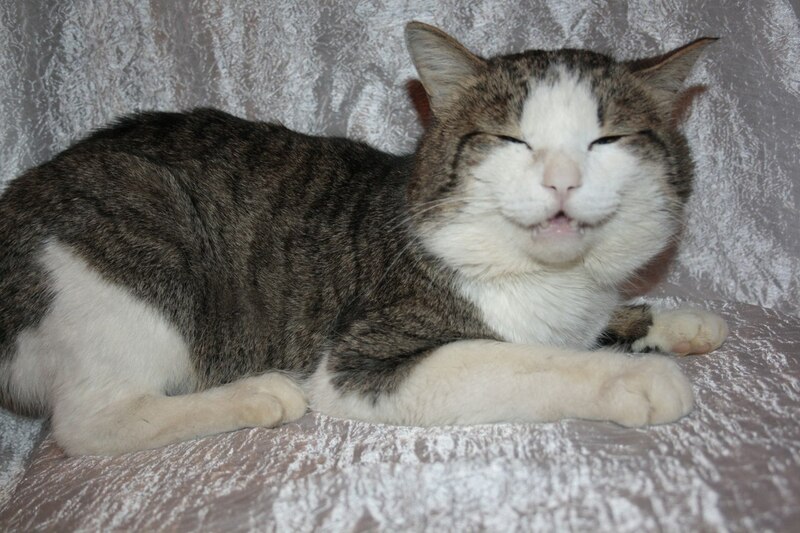 The foster parents were happy that Gosha found their original owners and went home with entire family. We are very excited about this reunion and hope that we can see more of such happy endings! For her young age (only 4 months old) Lapa has been through a lot. She was born homeless in a litter of 5 puppies, then the puppies were supposed to be fostered by someone but those people betrayed the puppies and let them starve and eventually the “foster parents” drove the puppies out to the woods to leave them there without shelter and food to die. (You can see the story in earlier posts). When SV group learned about the puppies it was too late and sadly all but one died. After numerous visits to the vet clinic and iv fluids and other medications, Lapa is doing well and has gained enough weight. She was spayed recently as well. 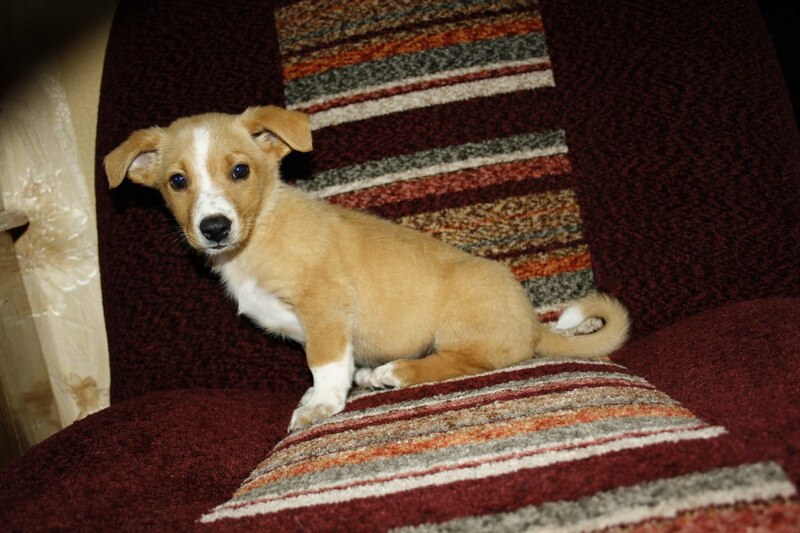 The surgery went well and now Lapa is ready for her forever home. She is still shy and skittish but with a lot of love her personality will come out soon. SV group is looking for her forever home now and we cannot wait for her to have a family that will be able to give her enough attention and love that she deserves. 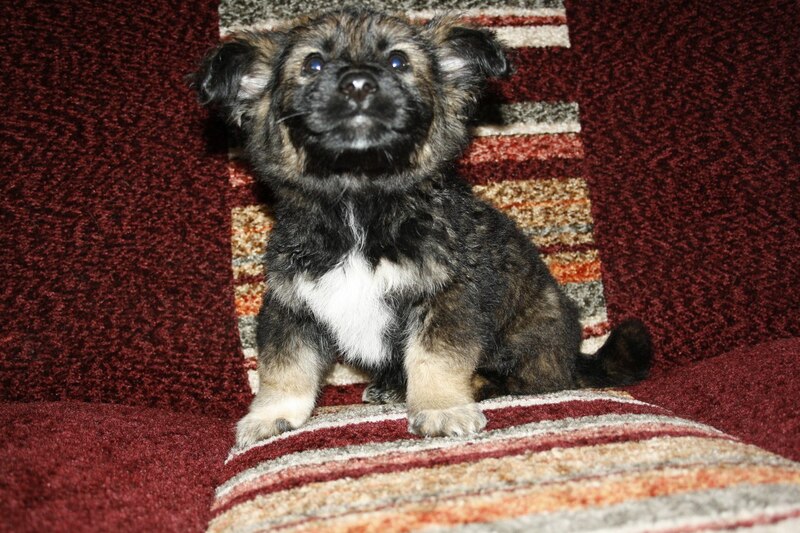 SV group is hoping that Lapa will get her happy tail soon. Please consider a small donation towards Lapa’s needs. A small amount will go a long way. All puppies are doing great! They have opened their eyes and became more active. 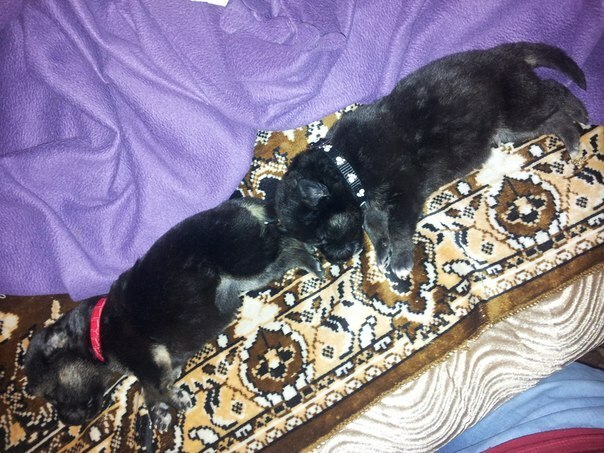 2 are fostered by a young Volunteer and other 6 are in a foster home. These two are brother and sister. 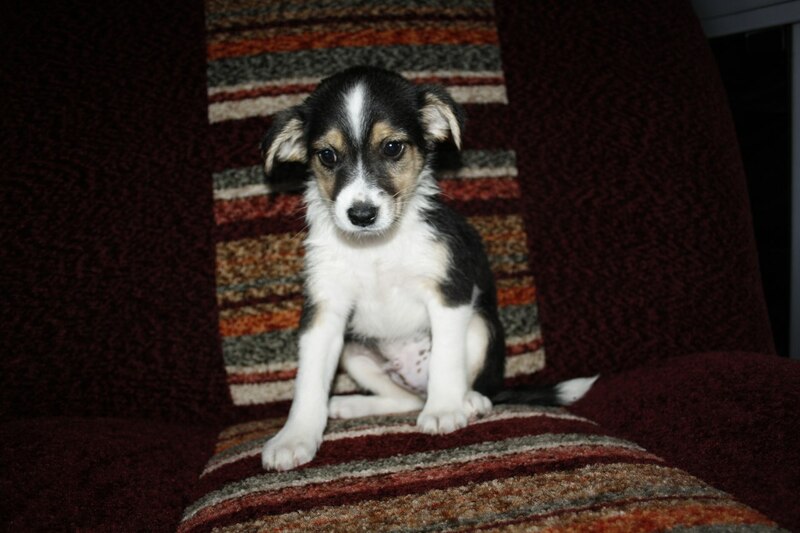 The female puppy is very active and likes to explore her foster home and also chase her brother. They had indigestion in the beginning but after some needed medical care they are well on their way to blossom into active puppies. 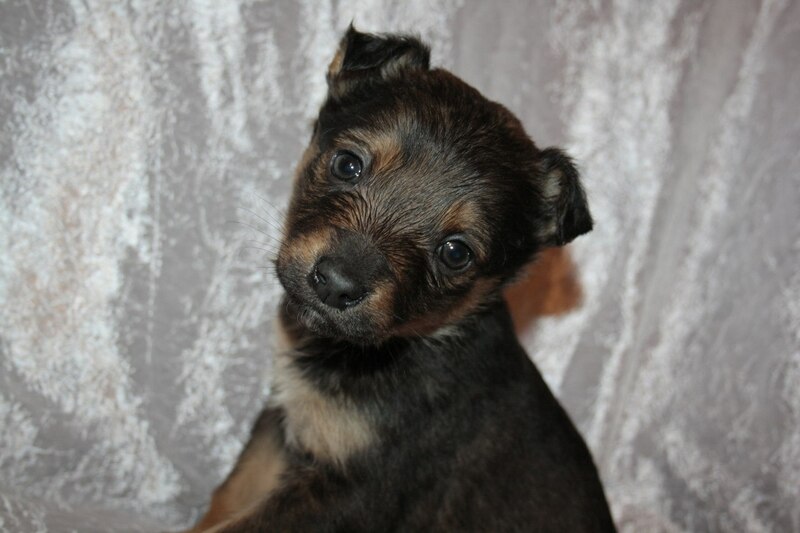 When they are ready enough to be adopted SV group will be looking for their forever homes. A litter of 8 puppies left to die by the dumpster. The Volunteers is caring for a few litters of puppies at any given time and today we found another litter of newborn puppies right next to a dumpster. They were tossed like a trash to die. 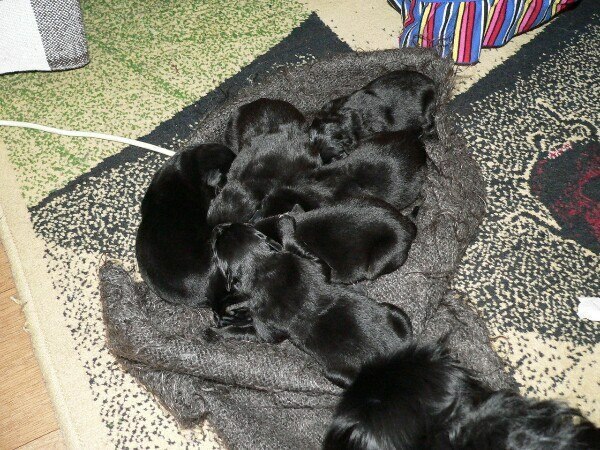 All black puppies, 8 altogether, but only 6 survived for far. 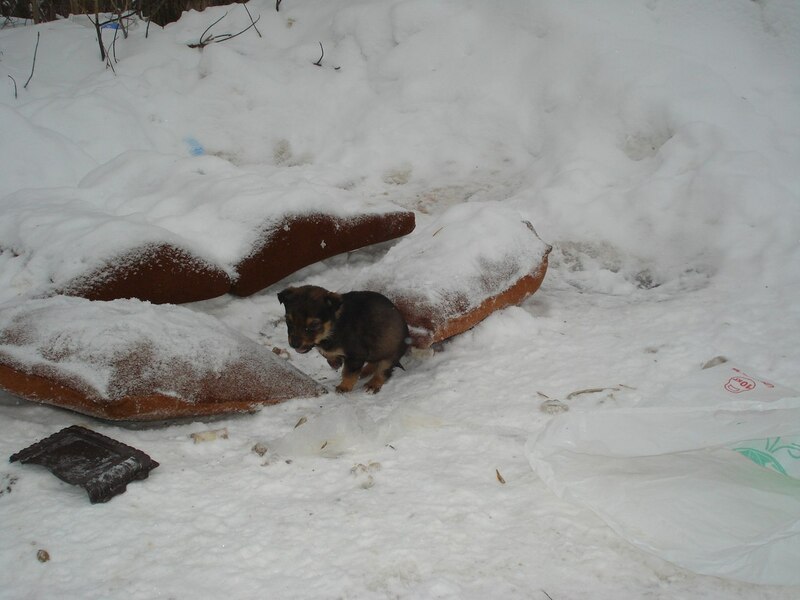 When the Volunteers arrived to the spot 2 puppies were already dead. 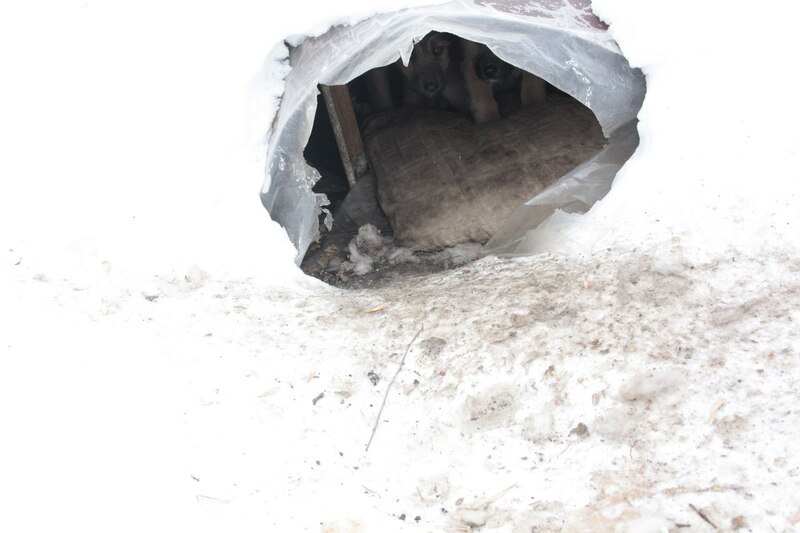 This is how the puppies were found, in a blanket by the dumpster in below zero temperatures. 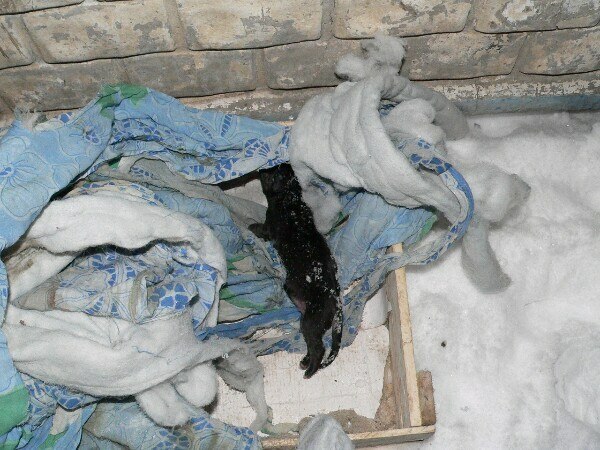 One of the dead puppies was found like this. The puppies are being bottle fed by our volunteers, one of them is a skilled foster mom who nursed back to life a few litters already; she is just 12-years old! 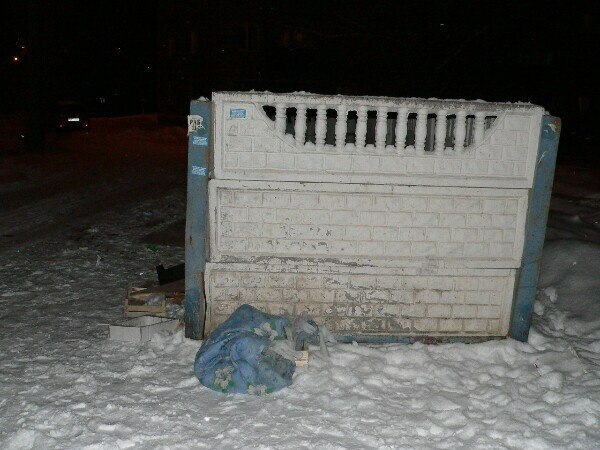 I cannot comprehend the thought process of people who are able to discard a living helpless being like that! But I am happy to see that good hearted people are everywhere and we can help the helpless and speak for the ones who are not able to speak for themselves! 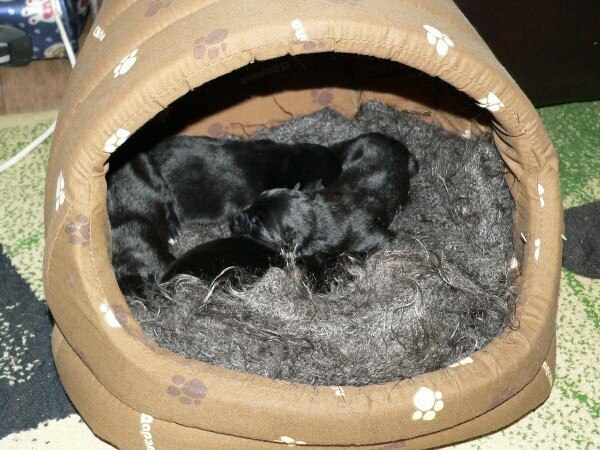 We will be posting more updates about the puppies. We all hope that they will grow strong and find their loving parents. 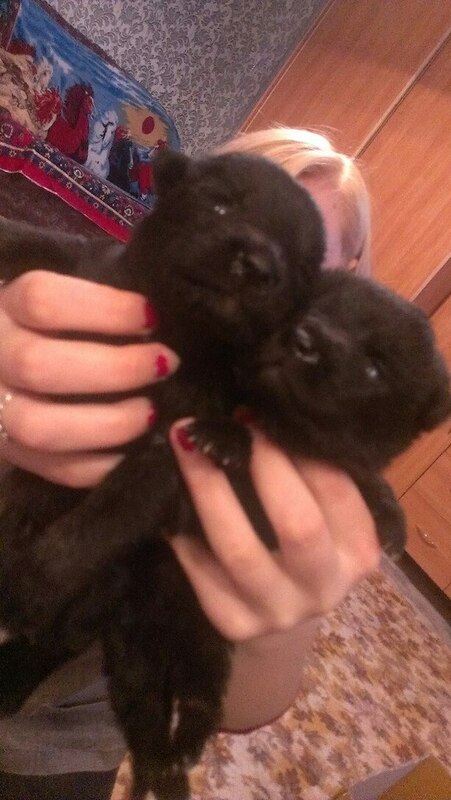 If you would like to help these puppies please donated via the link below with the note “for puppies”. All proceeds are going to provide food and medical attention to the animals in need. 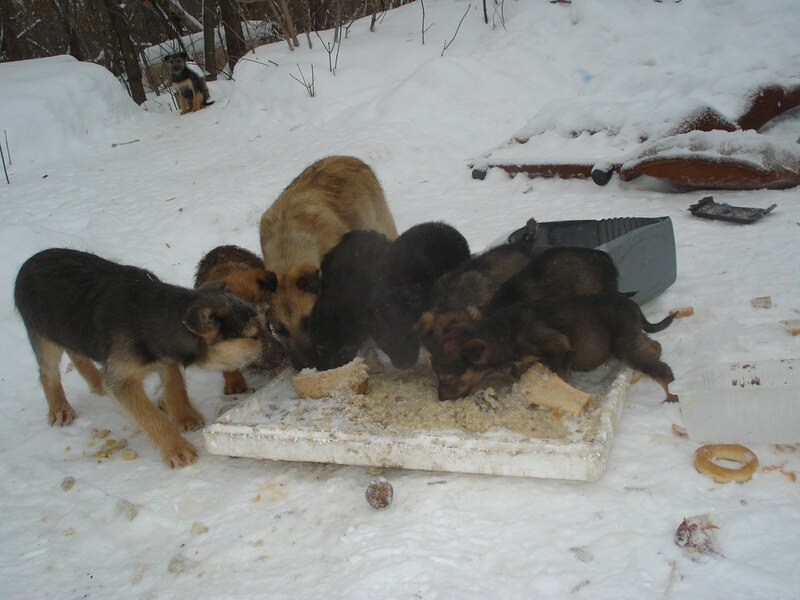 SV group received a call about over 20 puppies living in the outskirts of the town (Sterlitamak, Russia). 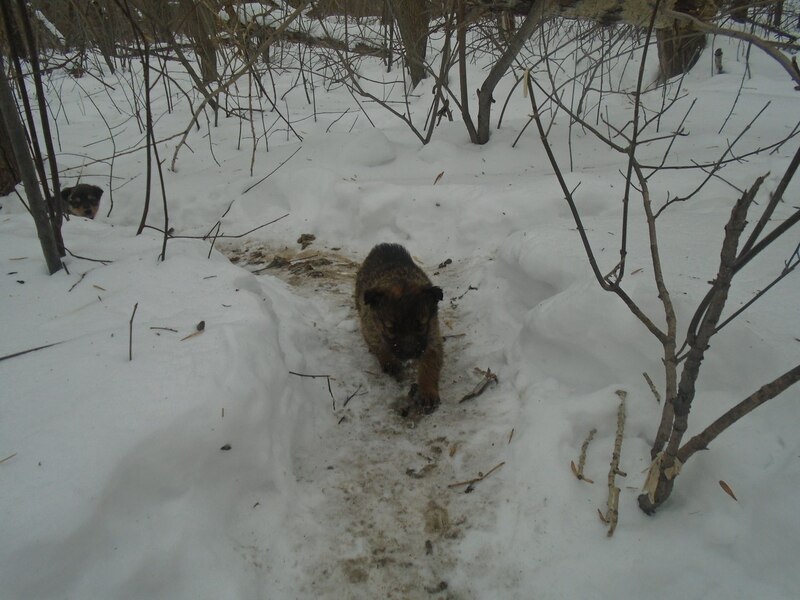 When Volunteers came to assess the situation they were shocked to see approximately 20 PUPPIES of all ages and sizes living in the woods with almost no shelter! 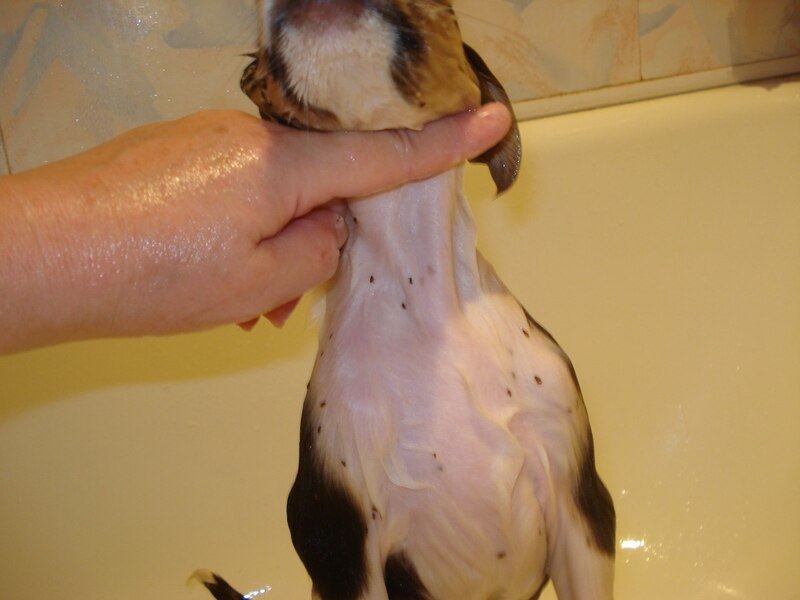 We do not know the exact number of puppies because they some of them hide when they hear human voices. 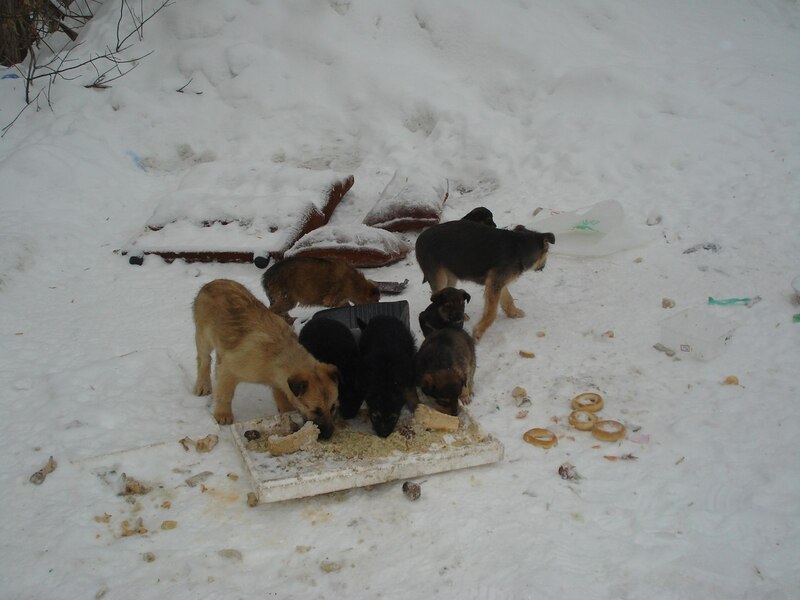 Two women who found the puppies first had been feeding the puppies daily but when they could not keep up, these ladies called SV group for help. 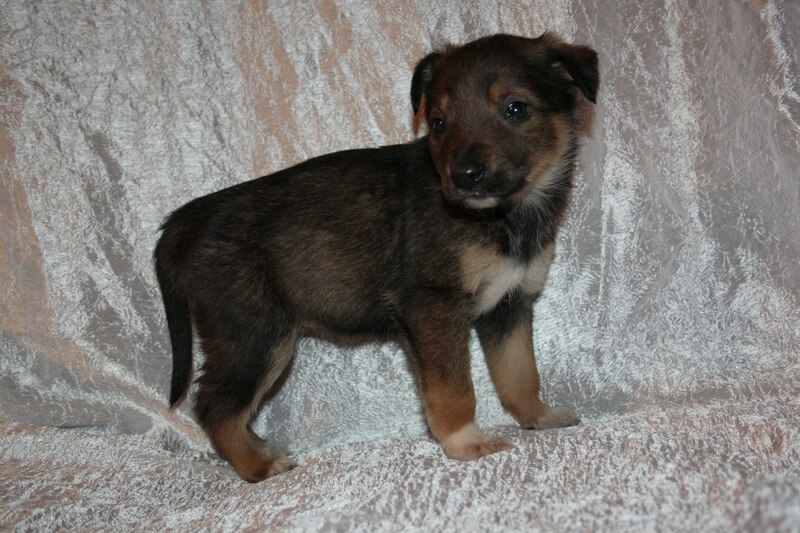 SV group has found homes for 6 puppies so far. 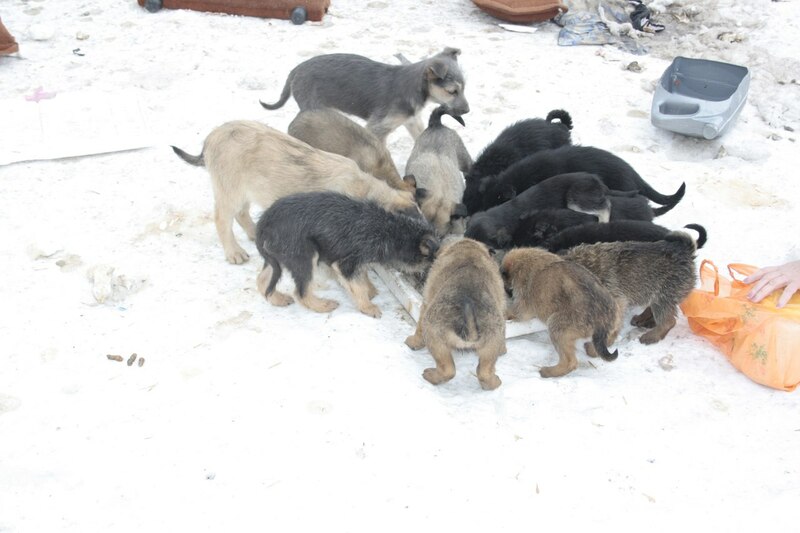 Two smallest puppies out of this bunch have been taken to their foster home today, because they are very weak and would not survive in such cold temperatures. 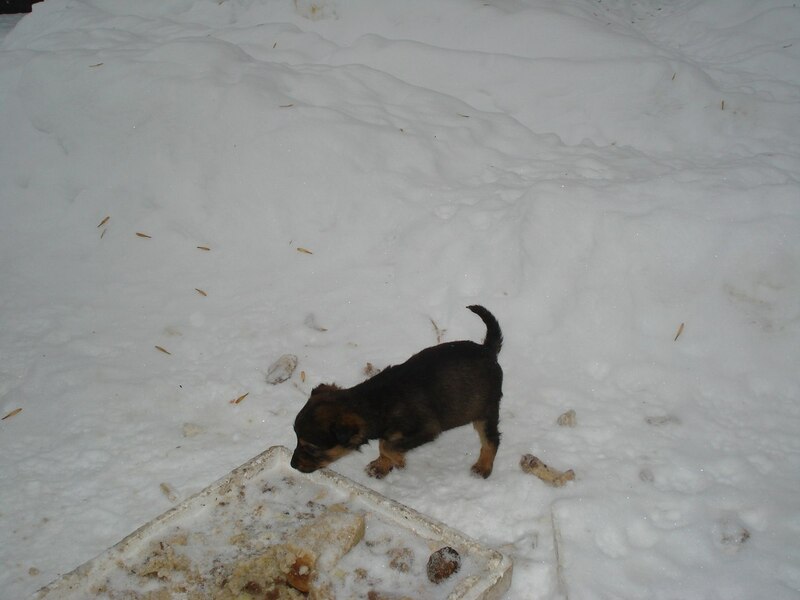 The rest of the puppies are in need of foster homes right now and daily food supplies. 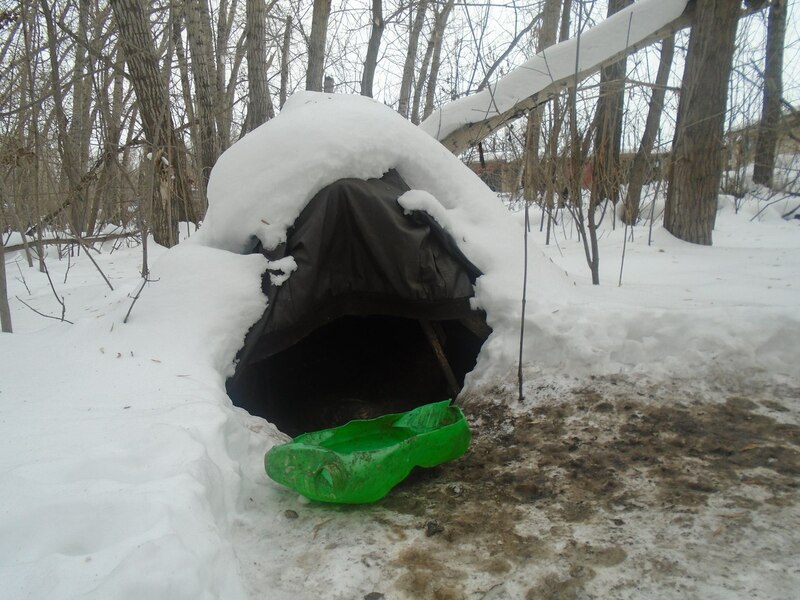 They have makeshift shelter and the Volunteers brought warm blankets and rags to make their puppy cave warmer. 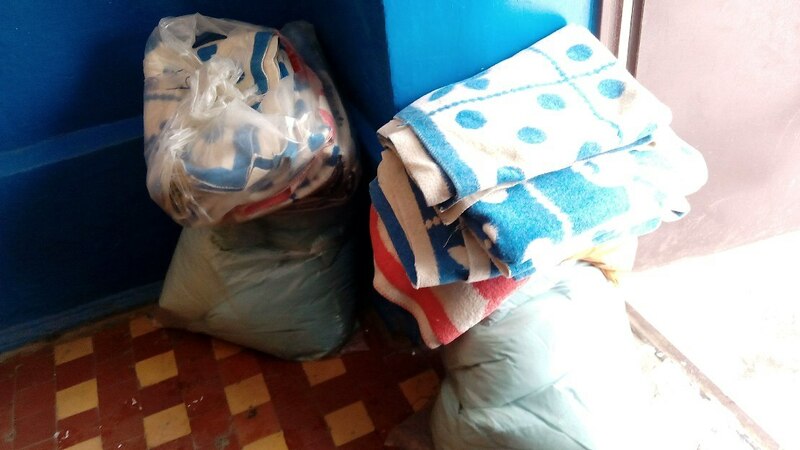 All blankets and warm clothes as well as food is donated by the citizens of Sterlitamak. SV group is trying everything possible to save animal lives and while they might be expendable to others, for Sterlitamak Volunteers and many other good hearted people these lives are priceless and we will do everything to save them! 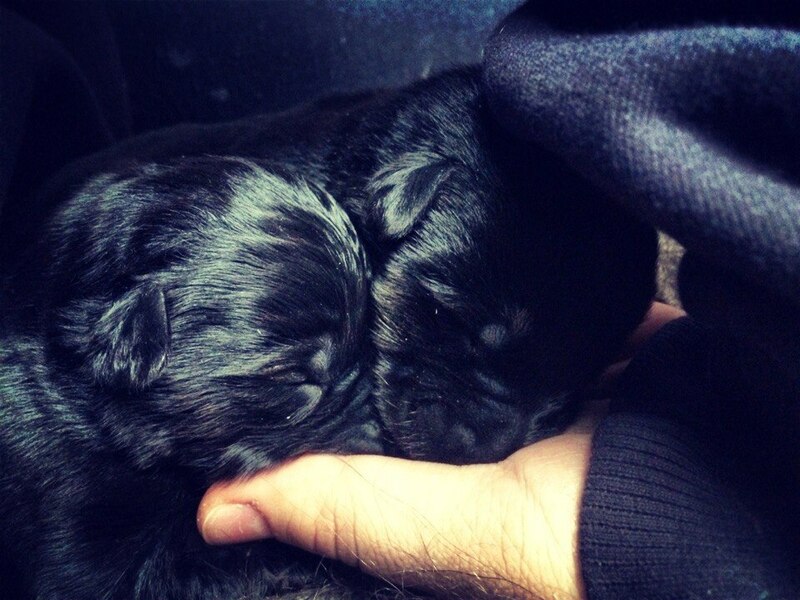 We will be posting more updates about the puppies. 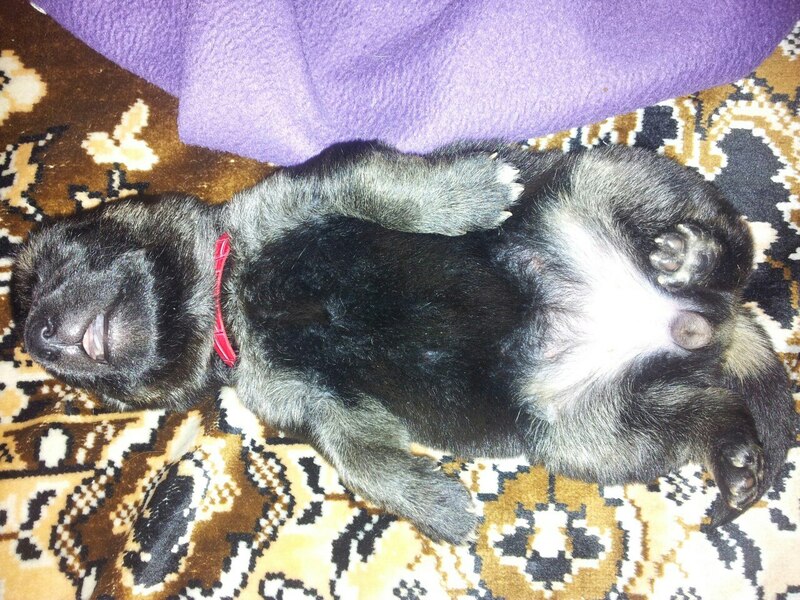 The SV group is in need of food, pee pads, warm used blankets and clothes for the puppies. If you would like to help these puppies please donated via the link below with the note “for puppies”. All proceeds are going to provide food, pee pads and medical attention for the animals in need. 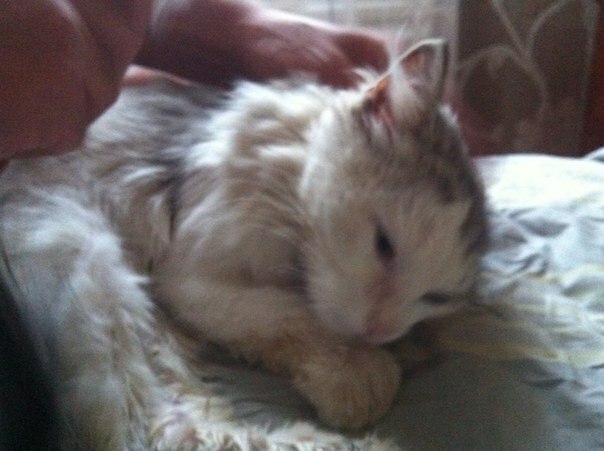 SV group rescued this poor cat with a string embedded into his body (see earlier posts). We do not know what happened to him. After treatment and a lot of love this boy is ready for his forever home. 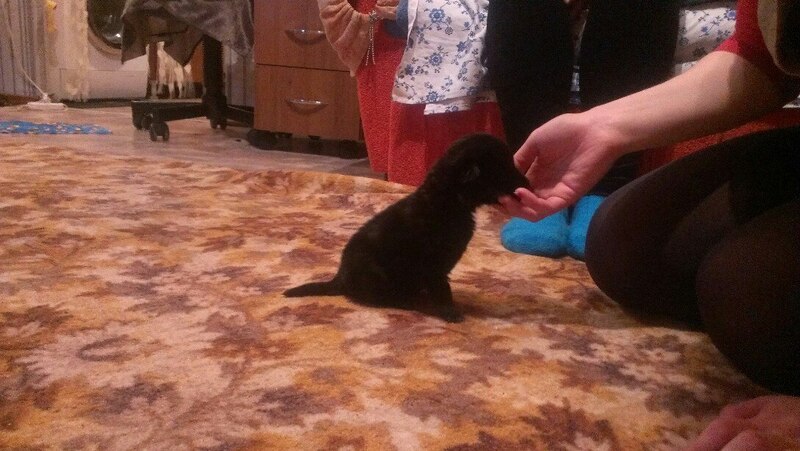 Kolya (SV group gave him this name) is doing well. He is probably 1 year old and a very large cat. His wounds are healing nicely and he is just full of love to give. We hope to find very good parents for him. Please help us rescue more animals in need. It is not very hard to do. By donating just a few dollars you can save a life. Any amount will go a long way in Russia. For example: cost of a spay/neuter surgery for cats is just $6-8, cost of spay surgery for dogs is $25. SV group is receiving no help from the government and all Volunteers who save animals, foster injured and homeless animals in their own homes. Most of the Volunteers of the group are teenagers who work on volunteer basis without pay after school and during school breaks. They are doing amazing work and it shows! Only for the fist month of 2015 SV group has rescued over 40 homeless injured animals and provided food for 3 litters of homeless puppies! 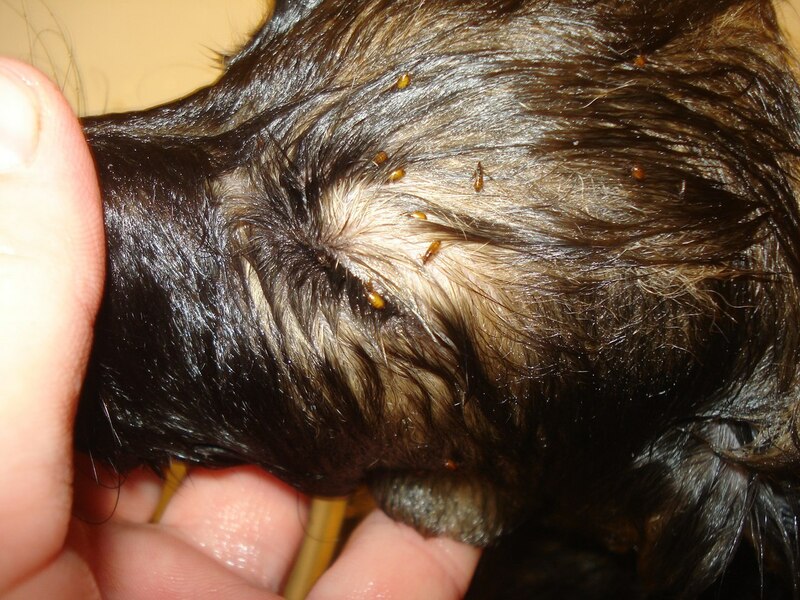 The food, medications, and cost of vet services are covered by donations. Please be a part of a good deed and donate. Sterlitamak Volunteers is an organization that exists and works directly off of the donations received from general public. All Volunteers and organizers of this group are working as unpaid volunteers and all proceeds go to cover the cost of medications, transportation, food and surgeries for homeless animals.